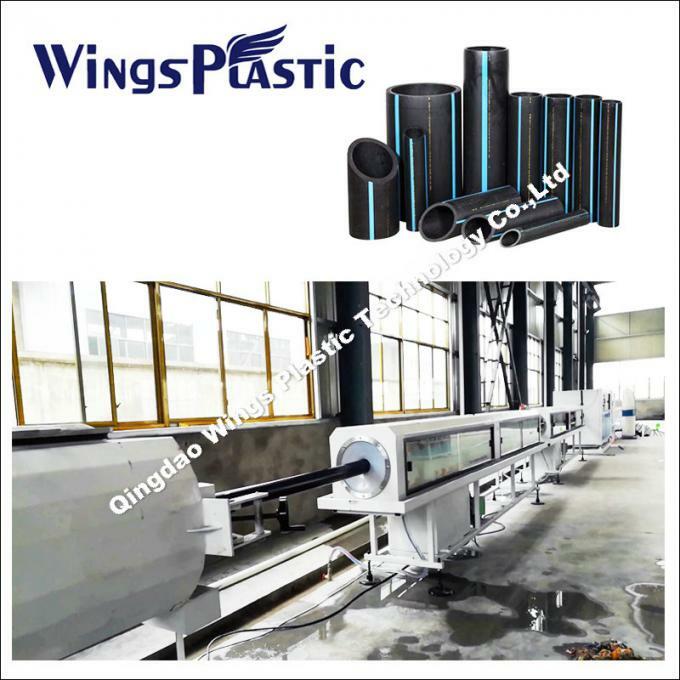 HDPE/LDPE series plastic pipe extrusion line is mainly used in the area of agricultural water supply, architectural water supply, gas supply and transportation, telecommunication cables etc. 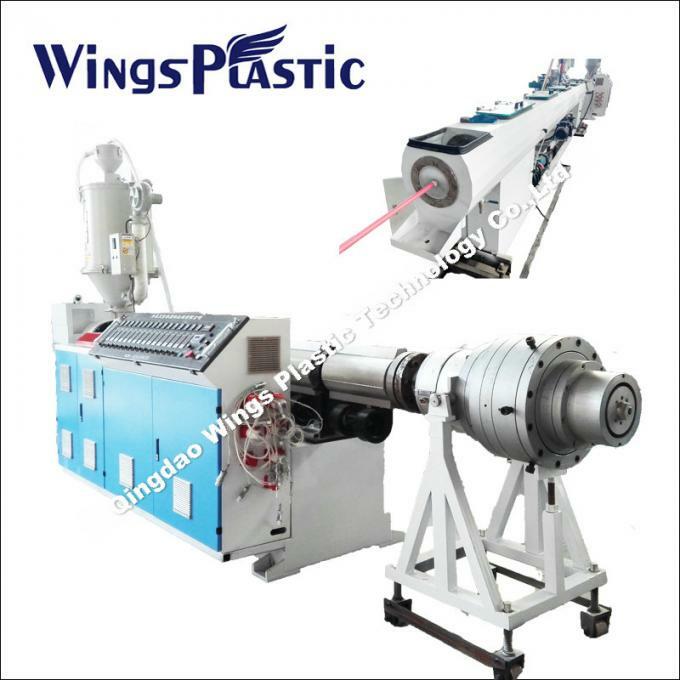 This line has the advantages of easy operation, high automatic degree, stable and reliable production, well received by customers. 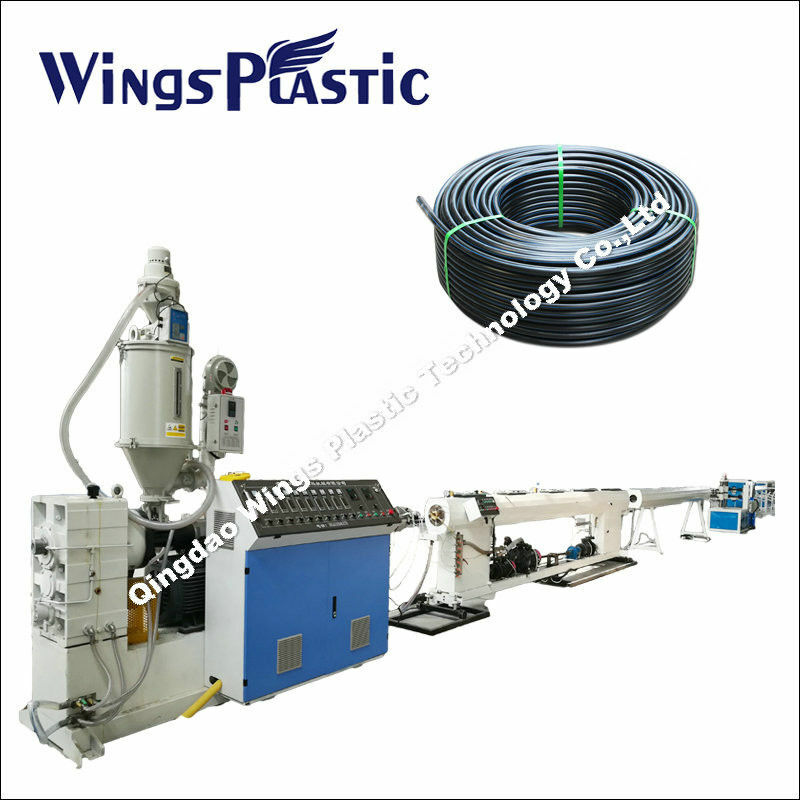 Adopts long L/D, high efficiency screw, high extrusion capacity, uniformed plasticization. Extruder and haul off machine motors adopt imported AC/DC inverter as speed regulators. 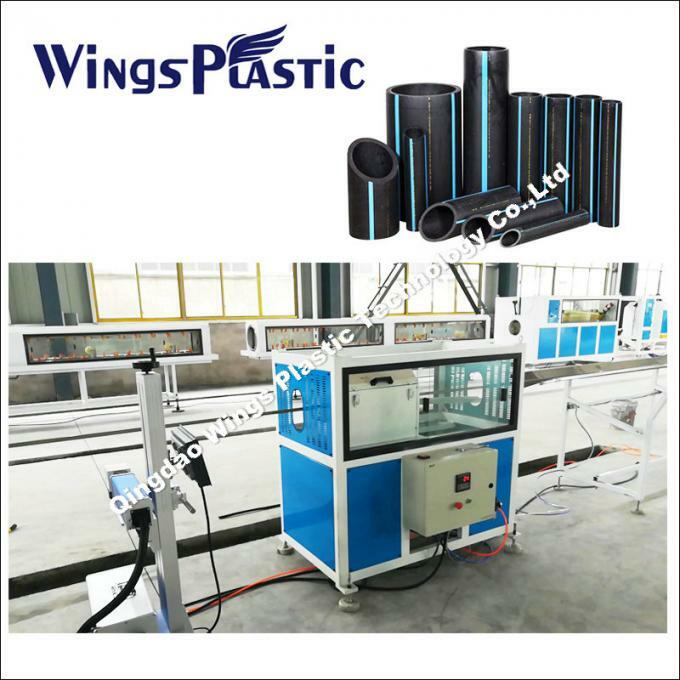 It is spiral type, good calibrating makes good quality pipe production. Inner heating system, high efficient, easy extrusion. Bronze calibrators can make the pipes fast calibrated and cooled. Adopts advanced water circulation, high pressure cooling system, installed with vacuum degree adjusting device and automatic water temperature and water level controlling system. Adopts caterpillar type, which includes two-claw types, three-claw types, four-claw types, six-claw types, eight -claw types, ten-claw types, twelve-claw types etc, suitable for different sizes of pipes. Non-scraped cutting, saw cutting or planetary cutting can be applied, accurate cutting, reliable property, high efficiency. Meter-counting device is also installed.